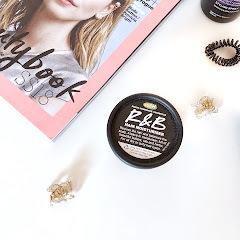 I have finally got round to doing a review on the KIKO combination I picked up last year during my trip to Winter Wonderland, if you'd like to check out that post click here. I had an amazing time at KIKO running around with my arms covered in swatches, and as if they didn't have enough offers on the build up to Christmas, I also got all of these included in the black friday discount! However, 2015 has been the year I've been experimenting more with lip liners so it's an apt time to include this duo. The first section I went to was lipsticks, for me they signify what beauty means; a simple injection of glamour. 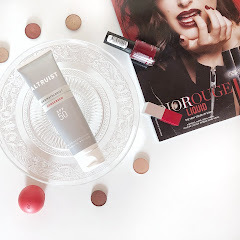 On a daily basis I like to have a simple look with few products, and therefore I find that lipstick tends to make the most difference to me. At this point I was just getting into darker lipsticks (I had also recently purchased Makeup Revolution's Rebel Without Cause), when I spotted this shade in the Smart Lipstick range. 914 Amaranth isn't your typical vampy shade, as although it looks quite purple in the tube, it actually swatched as a deep raspberry pink. However, I loved the glowy, satin finish it had without looking shimmery so I picked it up. 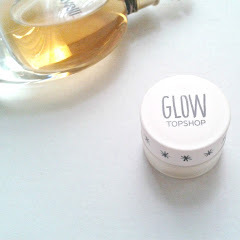 The formula is very moisturising, it glided on smoothly and softened over any fine lines. On it's own it's more of a deep pink, however over a deeper liner it tended to slightly brighten the shade. 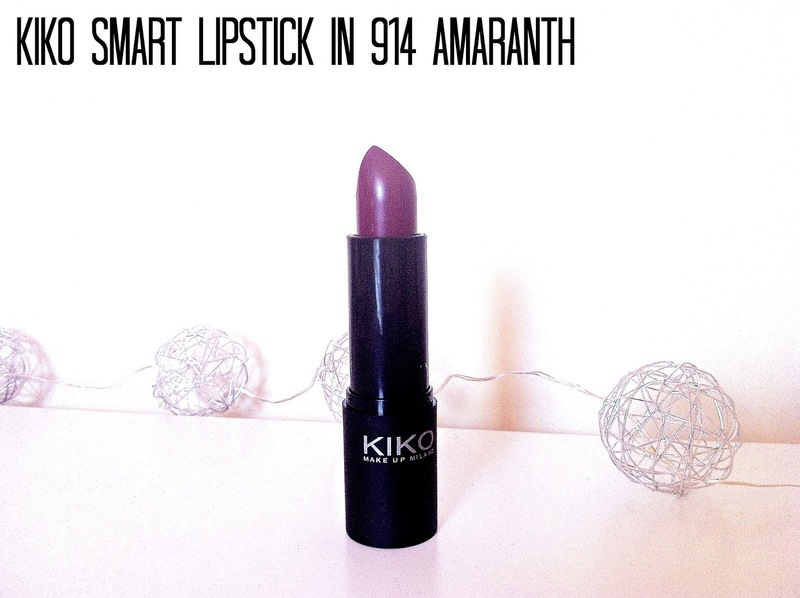 The longevity of the Smart Lipstick in 914 Amaranth was quite good too, around 5 hours for me, however due to it having a more glossy finish it's likely it will wear away quicker than a matte formula. I also then spotted the lipliners and being unable to find a dark liner in the drugstores near me I went swatch crazy. 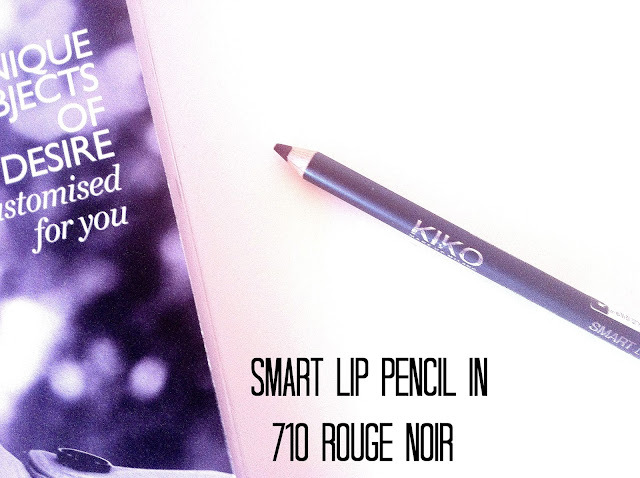 The Kiko Smart Lip Pencil in 710 Rouge Noir was the shade I had been looking for! It's the perfect warm plum that doesn't look too harsh, plus it was literally as cheap as chips at £1.90 on sale. Unfortunately I am unable to get away with using lip liners on their own as my lips are constantly dry, how I wish I could though as I love trying out the ombre lip look, Therefore, I did find the liner felt tight when I was wearing it on it's own, although this probably won't be the case for those of you who don't have dry lips. On the other hand, it actually went on much better than other liners I've tried, it glided like a dream and nor did the pigment stick to one area. 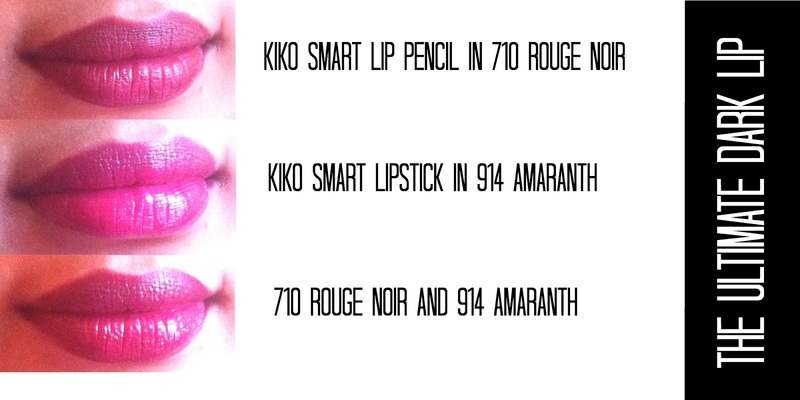 As you can see from the lip swatch below, it actually came out quite decently (if I do say so myself), although I will have to pair the Kiko Smart Lip Pencil in 710 Rouge Noir with a lipstick/lip balm on top. 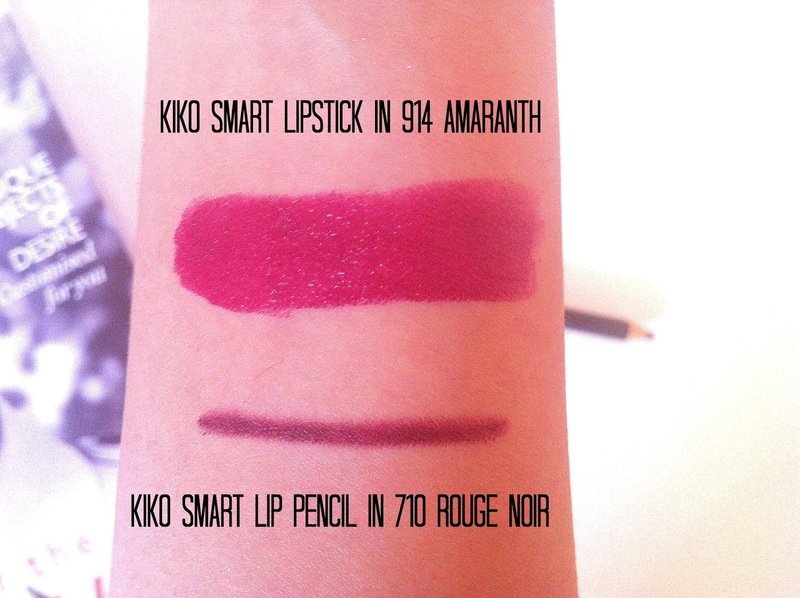 Both the Kiko Smart Lipstick and Lip Pencil are also intensely pigmented so quality isn't an issue you'll have to worry about. In terms of packaging the liner comes as a standard sharpening pencil (any sharpener will too), and the lipstick comes in a sleek black matte tube with the logo printed down the side. Quite minimalistic but elegant, nothing too fancy. The lipstick is available for £3.95 here, and the liner for £2.50 (similar here in share Amaranth). You can also sign up to hear about their latest offers. I've also done some lip swatches for you again, I hope they're useful? Overall, I am very much in love with this combination hence the title 'The Ultimate Dark Lip' as I really believe this is THE duo for me, well this year atleast! 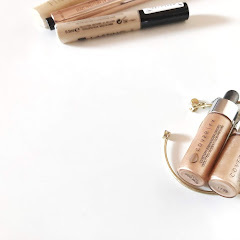 What are your Winter must haves (can be anything)? Oh, I love the combination! On its own it is a little too bright for me to love it completely, but with the liner it is pure perfection! I am very much into dark lipsticks and purple eyeshadow at the moment, it is my favorite combination this season. yes, that is a beautiful lipstick. and i love that name, amaranth. 4. and a fuzzy blanket. I love, love, love the look of that lipstick! Whenever I go into Kiko I never find anything. Maybe I'm not looking hard enough! I've never been to Kiko before but the lip combo looks so pretty and I think that for the price it's so worth it. Such a great lip combo! I am all about a dark lip this season. I love dark lipstick in the autumn! I am really starting to fall in love with KIKO. This combination is stunning and I'm glad to here their lip products are good quality too. Ohh, the combo is gorgeous but each is beautiful on its own too. These shades are right up my alley too, bright, bold and just lovely! Wish Kiko is easily available here in Canada but the only way to get it is through online. Your lip color it's just perfect ! Loving the colors! The first one is my fav!! 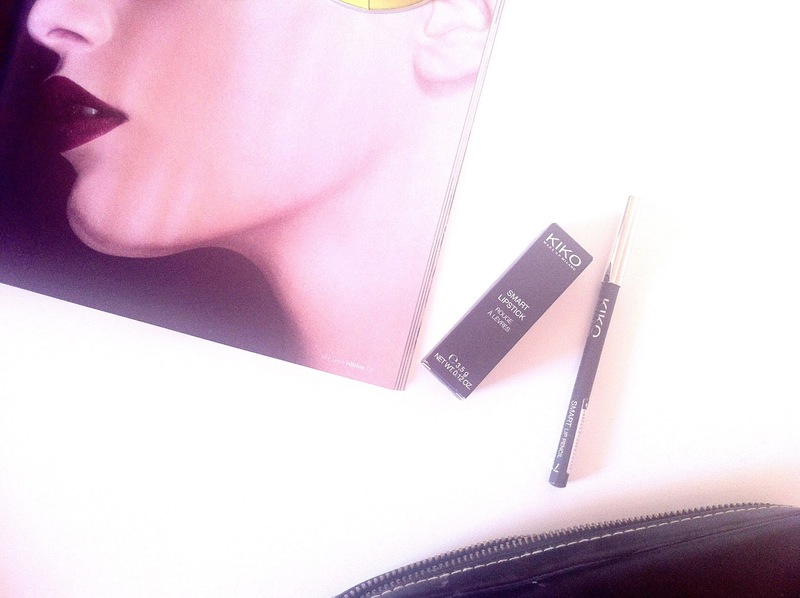 KIKO is a great brand and good value too ! 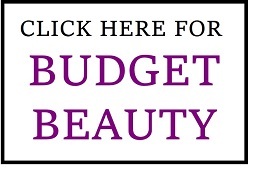 Looks like you'll be rocking the dark lip look this autumn! Every time I went into KIKO, I looked around, then walked out. That happened like 7 times. Finally I gave in, knew what I wanted, grabbed it and walked out. I have been in love ever since! Now I wish I had gotten them! Gorgeous shades, what a lovely lip combo for autumn! Kiko have some of the best lip liners I've ever tried... So creamy! The combo looks lovely on you!